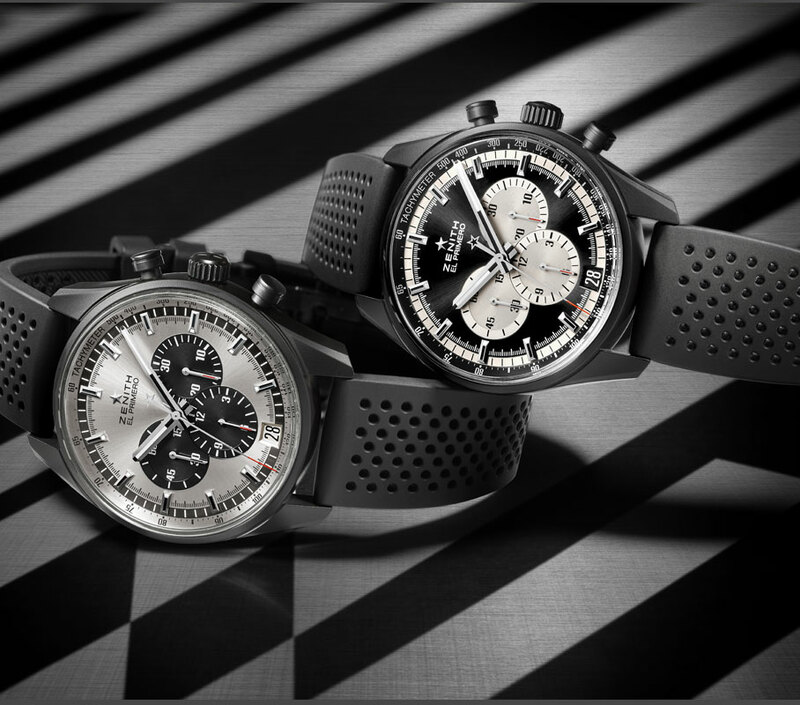 The legendary El Primero by Zenith appears attired in striking black and white variations. An intense black ceramicised case, chiaroscuro three-counter dial and sporty perforated rubber strap reveal a fascinating take on a watchmaking legend born in 1969. The Manufacture’s iconic El Primero 36’000 VpH epitomises high mechanical precision endowed with enduring charm. These contrasting twin timepieces – black on white, white on black – are a new couple, exuding a seductive aura characterised by natural balance.